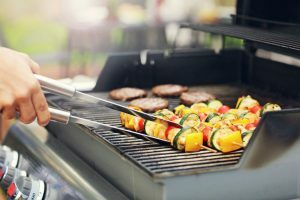 When looking for a proper gas grill for backyard grilling needs, one of the factors that most buyers look out for are the burners that come with it. Special attention is paid to the total number of main and side burners, their arrangement and total BTU per hour. 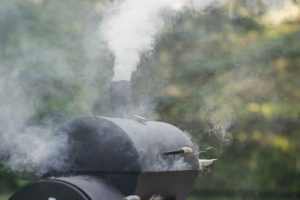 More has always been perceived to be better in all burner-related aspects, with grills having more burners and higher BTU units being more popular and subsequently more expensive. The review here pays more attention to the number of burners that come with a gas grill. 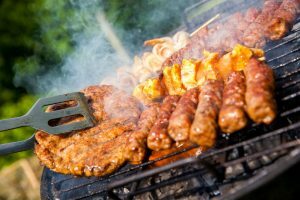 As of today, most gas grill manufacturers have models with 2, 3 or 4 burners already in circulation. 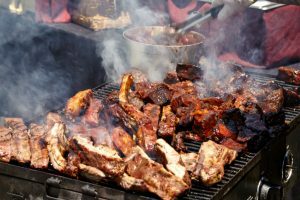 Grills with more burners have been by their users to perform better than those with fewer burners, especially when it comes to the flexibility of shifting between direct and indirect cooking. 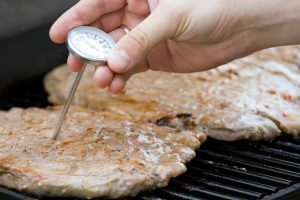 Of all gas grill burner variations, the 3 burners and 4 burners stand out for their better heat retention, flexibility between simmering and grilling and their elimination of hot or cold spots. 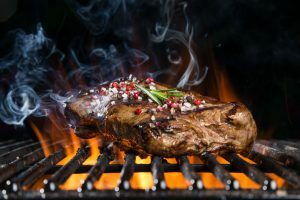 3-burner grills, in particular, continue to grow in popularity, owing to their affordability and useful features. 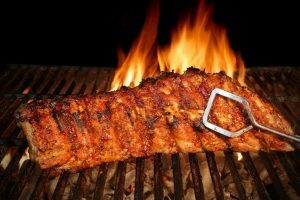 Let us see some of the best 3 burner gas grills on sale today for their functionality, usability, and design. 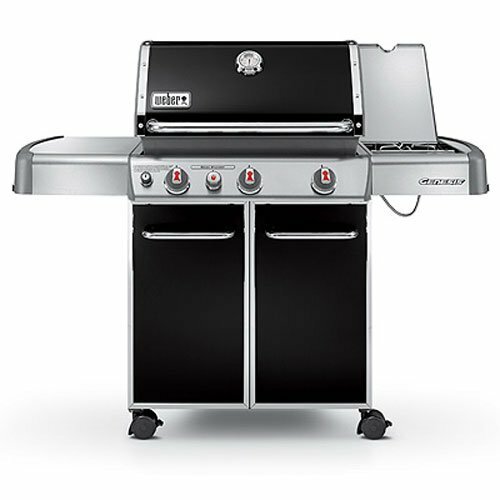 The Weber Genesis E-330 comes as part of the line of the E series manufactured by the grill maker Weber. It is next in size after the Weber Spirit E-310. Side burners cannot be switched to lower temperatures for warming sauce or sautees. They are not adjustable from their high temperature. Up to 11000 flame ports on infrared burners gives over 1800°F, which is ideal for searing. Infrared cooking option speeds up daily cooking with strong heating. The cast iron cooking grates enameled with porcelain are easy to clean. The porcelain also prevents the grates from peeling and excessive rusting. 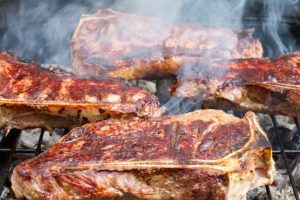 The Weber Spirit, Napoleon Legend LA300 and the Weber Genesis E 330 make up 3 of the best 3 burner gas grill models on the market today. But between them, each has features that mark its distinction over the others. Comparing price, the Napoleon Legend and the Weber Genesis are in the same range, quite higher compared to the Weber Spirit. The Napoleon Legend LA300’s 58,500 BTU promises more power than both the Weber Spirit and Weber Genesis’s 26,500 and 38000 BTU respectively. The Genesis’s primary working space offers more cooking space than all the others too. The Napoleon Legend LA300 comes with an infrared rear burner that is particularly good for searing slightly similar to the Weber Genesis E-330 is a sear burner. Both the Weber series and the Napoleon sport quick heat gain times, with each gaining up to 500 degrees in less than 10-12 minutes. The Napoleon’s cast iron wave cooking grids are slightly more effective than both the Weber and the Spirit’s cast iron grates. Considering weight, the Weber Spirit is 65 pounds marks it lighter than the Weber Genesis’s 177.5 pounds and Napoleon’s 154 pounds. 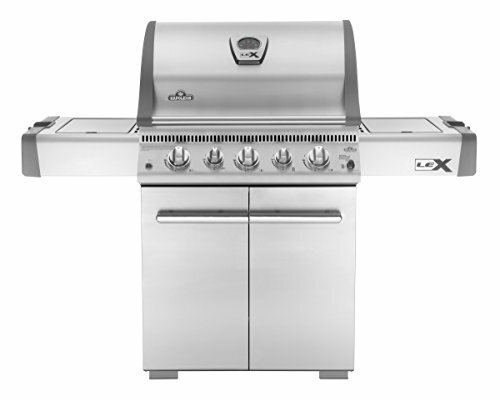 Each of the grill models compared above serves to illuminate the functionality and variety of the features most 3-burner gas grills come with. 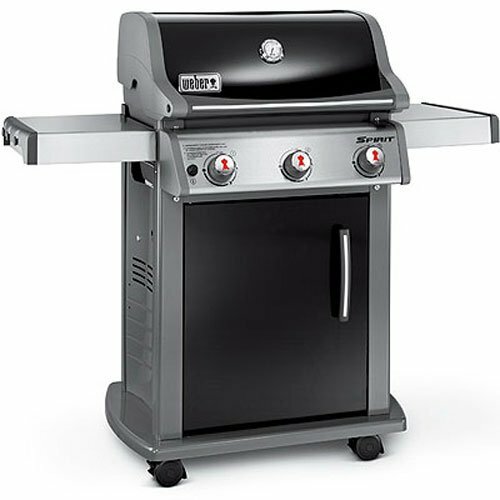 When making choice of a 3-burner gas grill from the many models on sale today, buyers tend to look out for factors such as ignition time, heat retention capacity, formation of hot and cold spots (or lack thereof), flexibility between direct and direct cooking, grate material, structural design, construction specs, BTU units, heat management, working space provided etc. The Napoleon Legend LA300, Weber Genesis E-330, and the Weber Spirit gas grill models come equipped to meet each of the factors above. 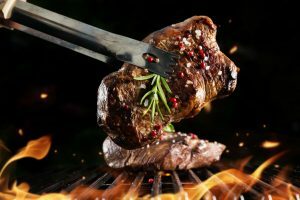 They each possess the features that a basic 3 burner gas grill should have including enough working space, good ignition time, good heat retention, the direct and indirect cooking feature, easy heat control and durability. The Weber Genesis E 330 takes the lead for the best 3-burner gas grill, owing to its usability, functionality, and durability. The Napoleon Legend LA300 is the next best alternative, especially for buyers willing to add a few more bucks for the extra features and speed that it provides. For those looking to get a 3-burner gas grill that is priced lower but equipped with the most necessary cooking features, the Weber Spirit E 310 is the gas grill we recommend.